Here is my interpretation of the Nu-Pike Cyclone Racer, once in Long Beach, Ca. This is not your typical Plug-n-Play ready built RCT coaster. 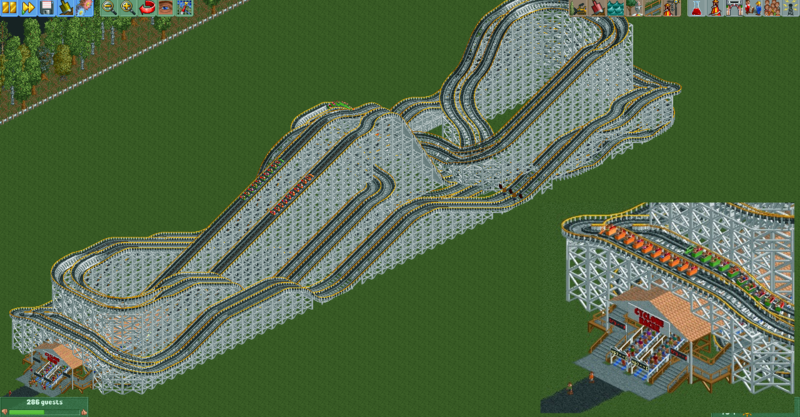 It will only work with OpenRCT2, scenery objects and instruction included. It is a collaboration, all the info is in the Read Me file. I hope it is enjoyed.